Welcome to the Italian Way’s new website! We are delighted to announce the opening of our brand new website. Check in with us here to follow our latest news, events and new additions to our specials menu. 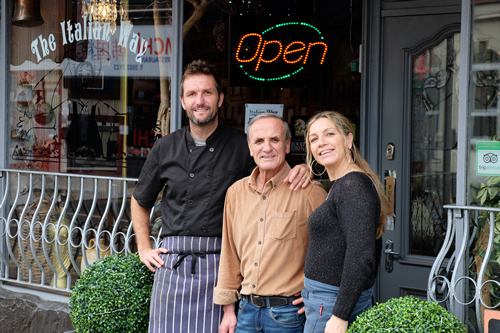 We are a long-established and popular family-run Italian restaurant in the heart of Cardiff but we decided it was time for a fresh look. From our website, you can read all about our range of menus and get in touch with us easily to book a table or to review our delicious Italian dishes on our Facebook page. We’re also on Twitter now as well, so please follow us and spread some Italian Way love! Take it away and get 20% off! Live music at the Italian Way every Monday evening with Bobby Newman!